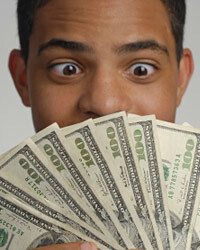 There are many different student loan lenders to choose from. Student loans can help bridge the financial gap for a student to continue their education. Choosing the right lender is essential because typically students have the loans for many years. You want to know you are doing business with a reputable lender. One area that you will want to consider are local lenders. Local lenders can provide you with a level of service that you will not get anywhere else. You may have done business with them for years and they will reward you for that with a great rate. If you go through your local bank, it will usually be to your advantage if you have a good credit score. This will allow you to get the best deal available. Besides looking at local lenders, you will want to investigate the many federal programs available. Federal student loan programs will give you a very low, fixed rate. If you qualify for a subsidized loan, the government will even pay for the interest on the loan while you are in school.